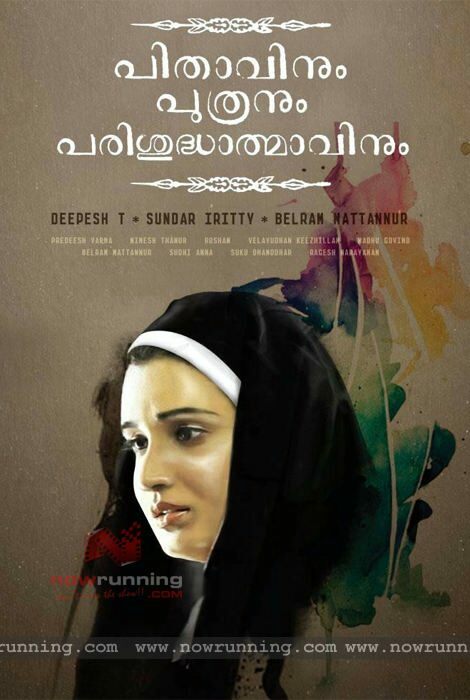 Under the banner of Track and Trolly Productions, 'Pithavinum Putranum Parishudhathmavinum' is directed by Deepesh T.
'Pithavinum Putranum Parishudhathmavinum' tells the life of nuns - Sister Jeseentha and Sister Elsitta. Shantakumari and Vijayakumari play the respective roles. Director V. K. Prakash and Sabu Cyril also make an appearance. Sunny Wein, Sathar, and Shari are also playing important roles. Screenplay by Balram Mattanur, cinematography Prathish Varma, music by Madhu Govind and lyrics Balram Mattanur.